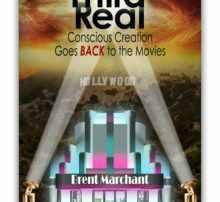 Want a preview of my new book, Third Real: Conscious Creation Goes Back to the Movies? Check out my podcast interview with Miriam Knight of New Consciousness Review radio by clicking here or here. Join Miriam and me for a fun, thoughtful, lively discussion of conscious creation in the movies, focusing on both current releases and some of the films featured in my new book. Tune in for some inspiring and entertaining movie talk!